As the Pope faces criticism for declining a formal apology for residential school abuses, a Catholic bishop in B.C. is on a local mission of reconciliation. 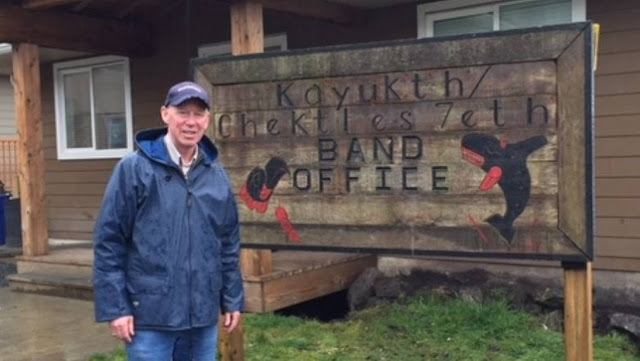 Bishop Gary Gordon of the Diocese of Victoria piloted his small boat to the remote community of Kyuquot.on Vancouver Island's west coast for the Easter weekend, to finalize the return of a small island to the Ka:'yu:'k'h'/Che:k'tles7et'h' First Nation. 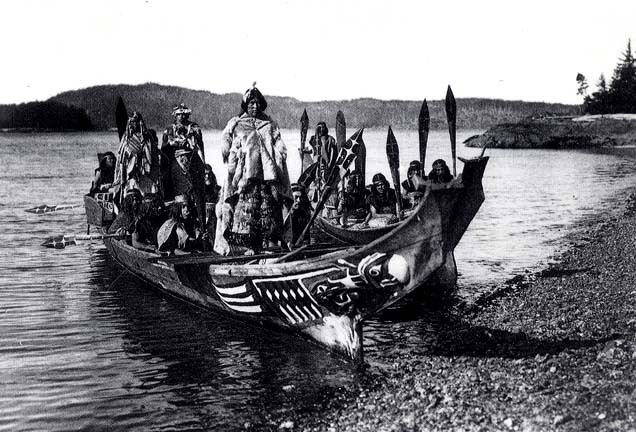 "It's kind of Independence Day for the people here," Gordon told On the Island host Gregor Craigie, referring to the anniversary of the Maa-Nulth treaty. "I thought it would be a good opportunity." The bishop discovered the church's ownership of 11.2-hectare Mission Island about four months ago while looking through old correspondence. He immediately contacted their solicitors to begin the ownership transfer. "It's all signed and done," he said. The diocese's reparations come the same week the president of the Canadian Conference of Catholic Bishops said Pope Francis can't personally apologize for residential schools. A papal apology was one of the 94 recommendations made by the Truth and Reconciliation Commission, and it was personally requested by Prime Minister Justin Trudeau during a visit to the Vatican last year. In Victoria, Kwagiulth artist Carey Newman, who created the Witness Blanket monument to residential school victims, said he was concerned about the wording around the statement that the Pope would not "personally" apologize. "We're asking for an official response from the Catholic Church as a whole and the one human who can give us those words is the Pope," Newman said. Bishop Gordon said the Pope has discussed the TRC and residential school issues with senior clergy over the past two years. "He wants his local bishops, myself included, to do the real legwork in terms of the reconciliation process," he said. Gordon said he has been doing that since 1977, in the Fraser Valley and Yukon before his transfer to Vancouver Island. "I just continue to do my little piece of working toward this path of restorative justice," he said. He added the structure of the church is more local than people realize. "There have been a number of apologies, myself included at the TRC in Inuvik, and also the TRC in Vancouver and Victoria," he said. "My predecessor [in the Diocese of Victoria] has issued an apology. I issued one in Yukon." Responses to "Catholic Church returns island to West Coast First Nation"